This board was inspired by the cotton candy colors of the beach sky. 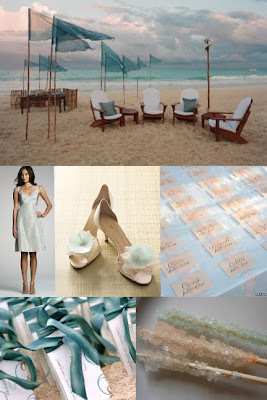 I love how these colors evoke an airy, relaxed, and beautiful feeling to any event. And aren't those flags lovely? Details like those not only bring a subtle drama, but also make the beach breezes work on your behalf instead of against!